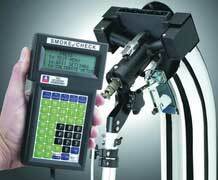 Diesel Opacity Testing - Fleet Services, Inc.
Have Your Diesel Emissions Checked, Before the Authorities Do! Smoke Opacity Testing is available at Fleet Services Inc. The Periodic Smoke Inspection Program requires that diesel truck and bus fleet owners conduct annual inspections of their vehicles and repair those with excessive smoke emissions. Let Fleet Services Inc. take the worry out of random highway checks. Ensure compliance, have your vehicle tested now. A fleet owner that neglects to perform the annual smoke opacity inspection on applicable vehicles is subject to a penalty of $500.00 per vehicle per year.